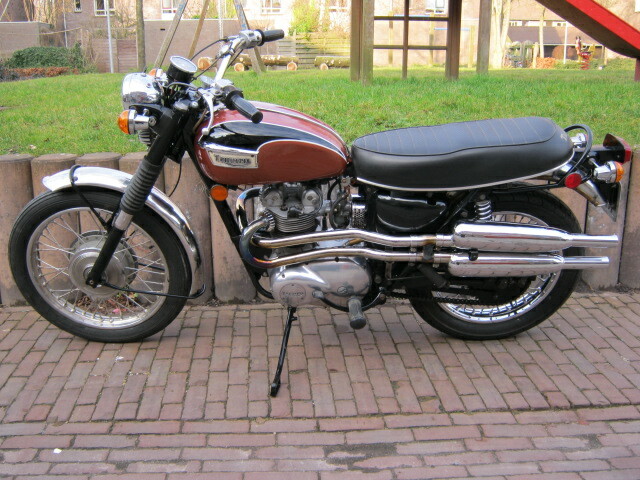 Beautifull Triumph T100C in American version. A tough, well riding bike. Not to often seen model on the continent, with upswept exhausts, small headlight and foldable feetrests. 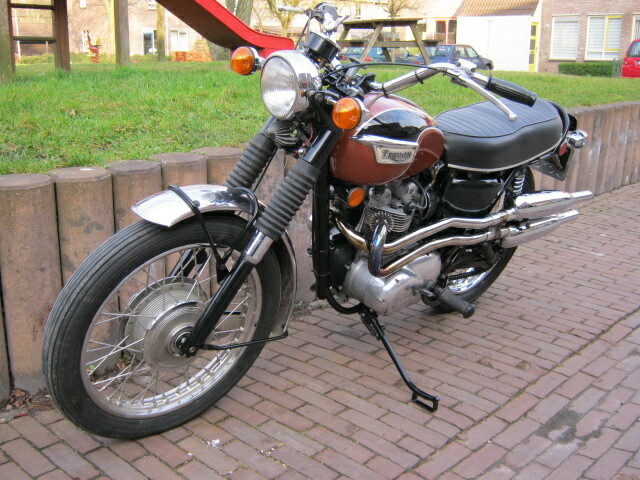 This one is looking very good and was recently restored and rebuilt in a very nice way.